Not got the kids' Halloween costumes yet? You had best get your skates on, it's this Saturday! Lucky for you, F&F at Tesco have reduced some of their Halloween outfits and clothing. There's at LEAST 50% off and there's something for baby, as well as boys and girls. Be quick though before all those other bargain loving parents snap up the best deals. 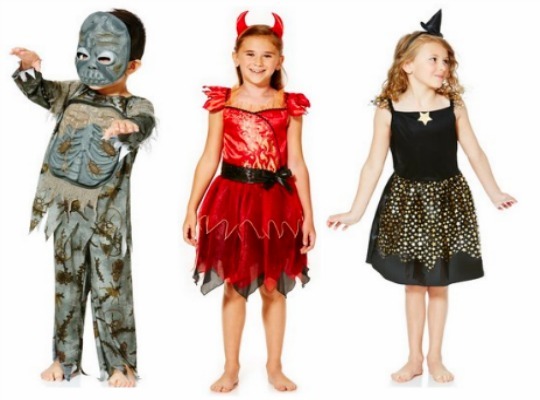 You can Click and Collect your Children's Spooky Outfits for FREE from a Tesco store near you or pay £3.95 to have it delivered to your front door.